People plant gardens to attract bees, birds and butterflies. Maybe your cat would appreciate the same treatment. Some plants are toxic to cats, including azaleas, chrysanthemums, daffodils, hydrangeas, iris, ivy, lantana, marigolds and tiger lilies. (The ASPCA has a full list of toxic plants) But there are many plants and garden features that aren’t harmful and that cats can enjoy eating, rolling around in or lounging on. Leonard Perry, horticulture professor at the University of Vermont, says most cats will respond with pleasure to catnip (Nepeta cataria), which can be grown in sunny areas with well-drained soil. Another plant that will often induce the same response in cats is catmint (Nepeta mussinii), a compact plant that also can be grown in a sunny location. Perry also recommends cat thyme (Teucrium marum), a member of the mint family grown in sunny locations that some cats prefer over catnip. He also likes valerian (Valeriana officianalis), a traditional insomnia cure or sedative for humans that is a stimulant for cats. Grasses grown from oats, wheat berries, barley grass seeds and other grain grasses will give your cats something to nibble on. Many cats also like to munch on spider plants. 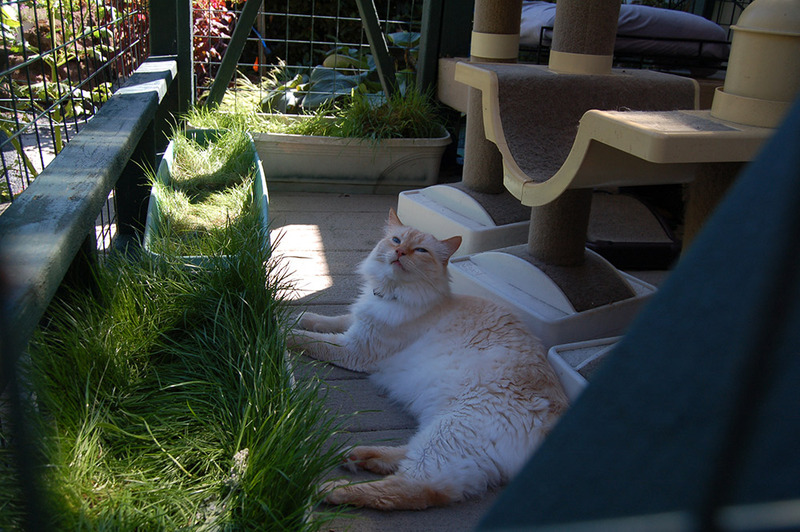 A grass patch can even be grown on an apartment balcony in an old cat litter box or other container, according to cat gardener Christine DeMerchant. 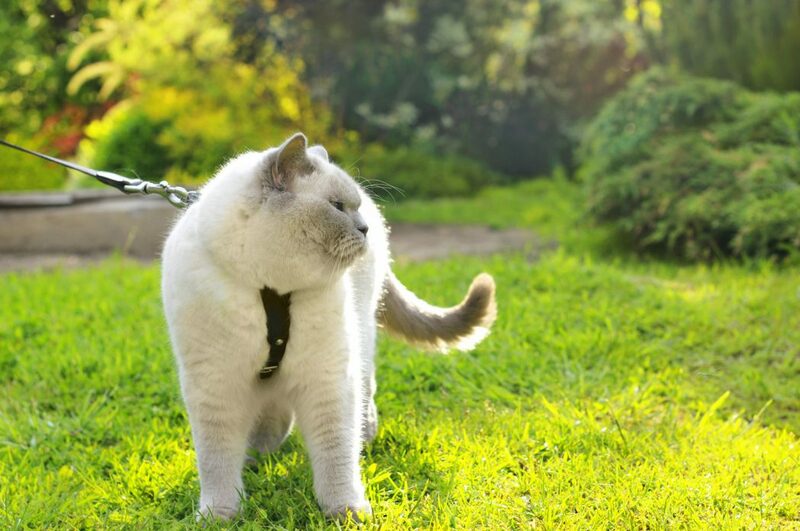 If you’re not taking your cats out in the garden on a harness, DeMerchant suggests containing your cat with a tall fence or creating an enclosure or outdoor cat kennel with mesh material, which is known as a catio. Cat gardeners also suggest including a water source, which could be a fountain or a pond. Perry says if you want to have fish in the pond, you can install a net just under the water surface to keep your cat from getting at them. 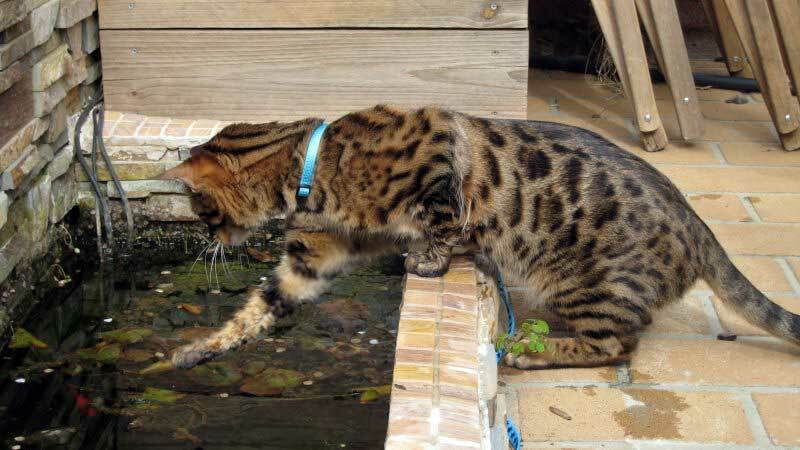 Remember to keep those fishies safe from curious paws. (Photo: Christopher Yeoh/flickr). Likewise, if you want to let your cat do some birdwatching by having a bird feeder, make sure that it’s high enough to prevent your cat from becoming a bird hunter. A patch of dirt, sand or mulch to roll around in or dig in may also be an appreciated part of a cat garden. Perry says you can put wire mesh under the mulch or compost if you want to discourage the cat from using that area as a litter box. You can create hiding spots with a small teepee of boards or a segment of plastic culvert buried partially in the soil. The shade provided by shelters like these are especially important if you have a pale or white cat that’s more susceptible to sunburn. 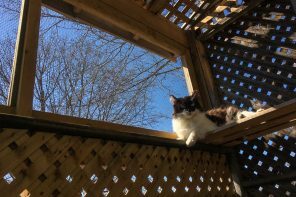 Lookout perches can be created with a cat tree or platforms built into fences, and these are also great to encourage scratching — and keep your trees safe. 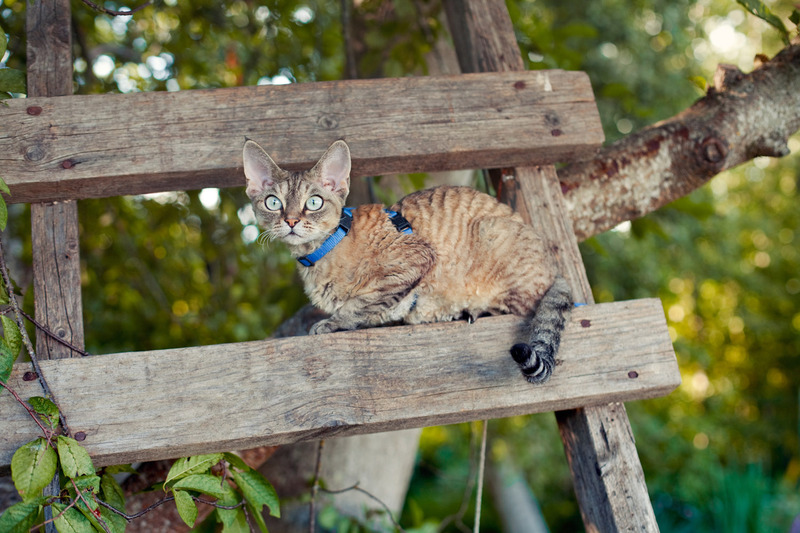 Stumps or pieces of wood of varying heights can also be safe places for cats to climb and survey their surroundings. 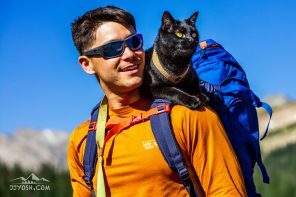 After all, cats love to climb, but scaling a tree or other tall object while on a leash isn’t safe. Cats also might want to hide in long grasses. Perry suggests sowing new crops every few days to replace the ones that are chewed down. And remember to set up your cat garden away from the more ornamental parts of your yard because the plants might take a beating from your cats. Avoid pesticides in your cat garden or weed and feed products that have herbicides. Even “organic” ones may harm cats if they get it on themselves and lick it off. Store chemicals out of reach. Bring the cats inside when you’re mowing the lawn. Power lawn mowers can propel rocks or sticks that could hit a nearby pet. And, of course, always keep your cat on a leash unless he or she is safely inside a catio.